What do you do after you complete project for a client currently? I highly doubt, but hope, your answer is: conduct an exit interview. Every freelancer has felt this frustration: when you’re the little guy, you’re not the “safe” pick. In fact, you’re the risk. The question, then, becomes: how do you, a scrappy, unproven solopreneur, become more of a sure thing? The answer? By collecting client testimonials, of course. According to HBR, for 75 percent of “solopreneurs,” who consistently work more than 15 hours per week on independent work, word of mouth referrals are the top source of work assignments. 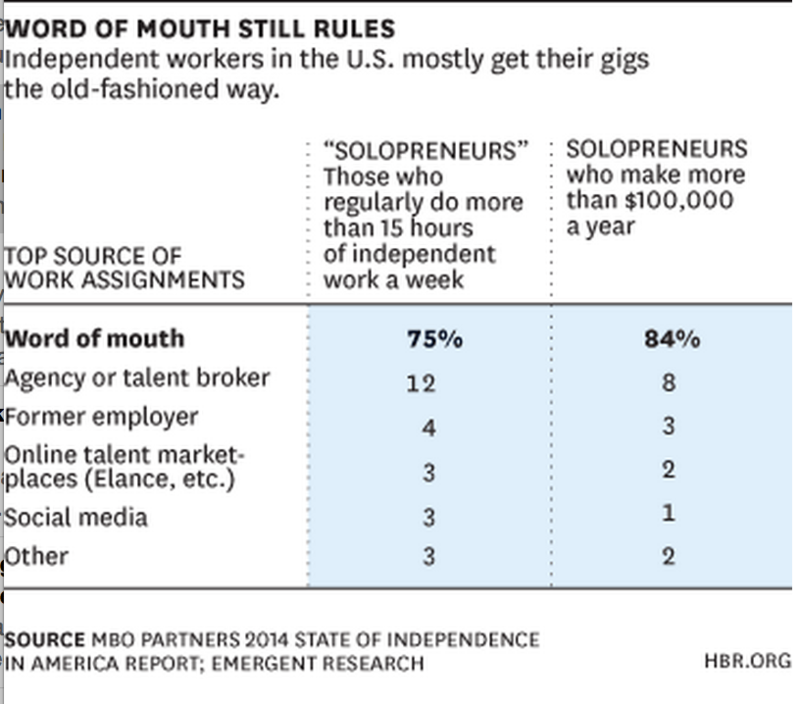 And that percentage rises to 84 percent when talking about solopreneurs who make more than $100,000 annually. It makes sense when you consider the fact that 90 percent of online consumers trust recommendations from people they know, and 70 percent trust reviews from online users they’ve never met. Testimonials (even client logos) are a powerful way to convince your prospects from giving you, the underdog, a shot to win their project and eventually their loyalty. Copyblogger made a fabulous comparison of resumes and testimonials in its post, describing them both as one-sided and sugary. Here’s an excerpt from it. 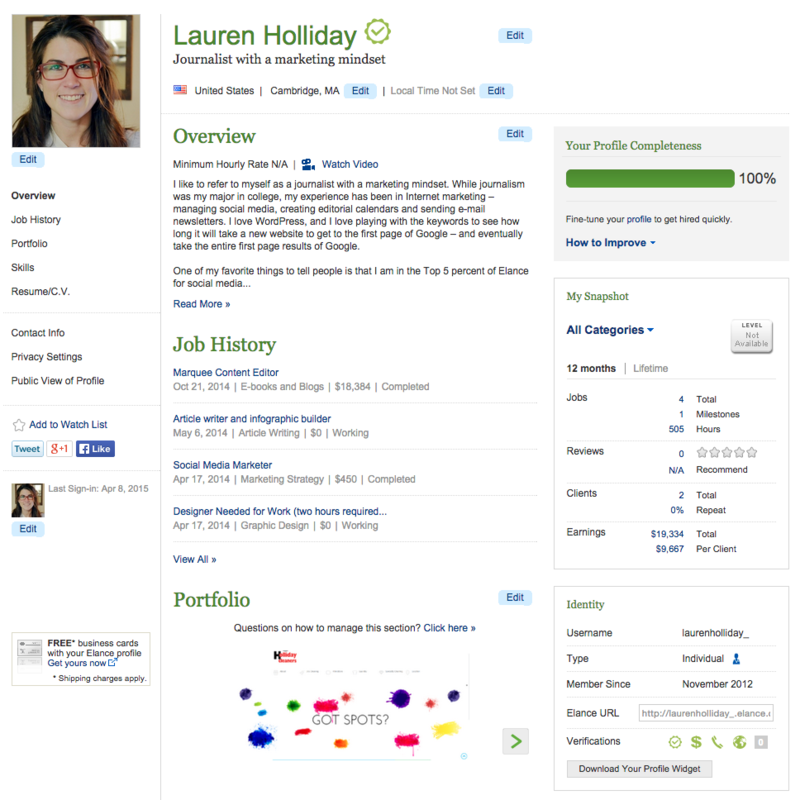 Most testimonials resemble résumés. They’re sugary. Every testimonial seems to talk about the “magnificent, outstanding, and amazing” qualities of the product or service. After you’ve read a couple of those icky-sweet testimonials, you feel like you’ve had quite enough. If you had a big dose of wonderful testimonials, you start feeling a little sick. You’re getting a massive overdose of “sugar.” Those testimonials are so sucrose-laden that there’s no way on earth that you’re going to believe in them. Copyblogger explains the best type of testimonial is the one in which the client accurately depicts the before and after solution picture. It offers the entire picture. A good testimonial, according to Copyblogger, shows the complete, bittersweet picture. While traditional testimonials begin and end with praise, reverse testimonials show the awful before photos first and then transition into the amazing after products. This works because as humans we naturally talk this way. Doesn’t this sound like a real recommendation as opposed to a sugary and totally fabricated one crafted by a copywriter? The other testimonial framework I prefer is best depicted in this post by Groove. 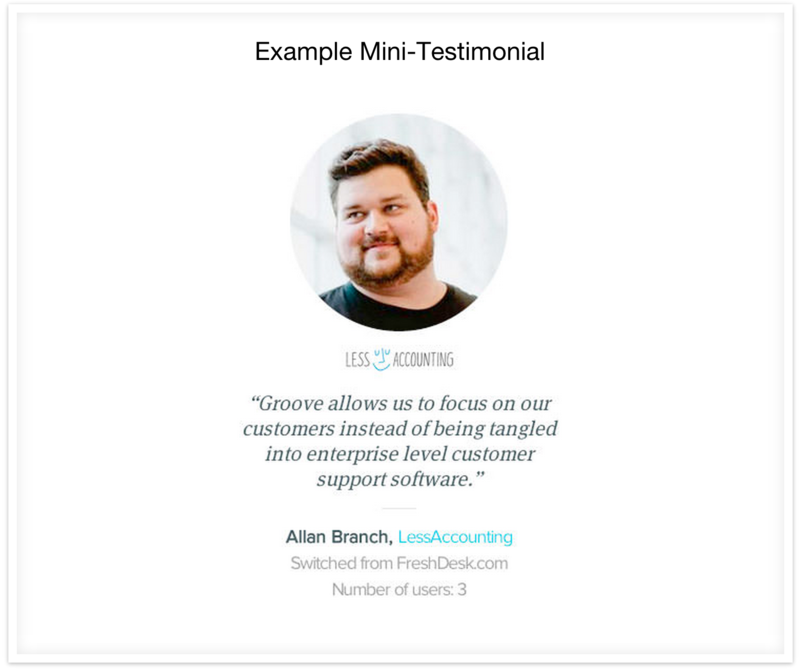 According to Groove, the best-testing testimonials are specific about who the testimonial writer is, and what problem you solved for them. The post explains that providing specific details about the writer helps prospects put themselves in the writer’s shoes and relate to them more. The ability to easily relate combined with the specificity of a problem helps the reader feel like you will help them, personally, and solve their peculiar problem. Where, Oh, Where, Could My Testimonials Be? Even if you haven’t been conducting exit interviews with clients, you may still have a heap of testimonials scattered throughout your computer. Whether you find any or not, beginning today, collect reviews via one, if not all, of the following eight mediums. Has a client been so ecstatic with your work that they sent you an appreciation email? Maybe they said something as simple as thank you or something so prolific you would’ve thought you crafted it yourself. Quickly search your inbox, and I’m sure you’ll find something useful to paste at least a few recommendations on your site ASAP. LinkedIn is the new resume to many people. Read this post to learn how to utilize it to the best of your advantage. It will detail how to request LinkedIn Recommendations for those of you who are not familiar with this platform or feature. Are you a member of Elance, oDesk or any of the other popular freelancer marketplaces? If so, have you received reviews, ratings or recommendations on any of them? 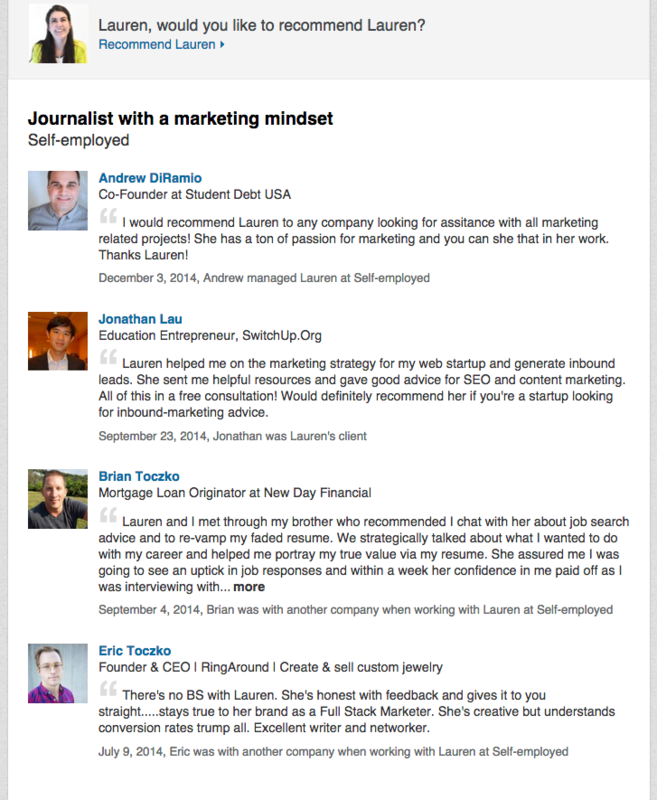 Again, if yes, then copy and paste those comments to your website to jumpstart the testimonial section. Have you heard of websites, such as Dunwello? Dunwello is like Yelp for freelancers. Create a profile for yourself on this website and similar ones. You want to make it extremely convenient for clients to write you a review; therefore, having profiles on multiple websites is good because every customer will not be on the same platform. I love using Twitter to collect client testimonials. In fact, when I was just a fresh freelancer, I utilized Tweets as testimonials on my website by taking screenshots of what users said. How did I collect and manage them all? By using my favorites’ stream as a testimonials’ stream. I only favorited nice and complimentary things clients and people on Twitter say to me, and I still do this today. Do you blog? Comb through your comments. 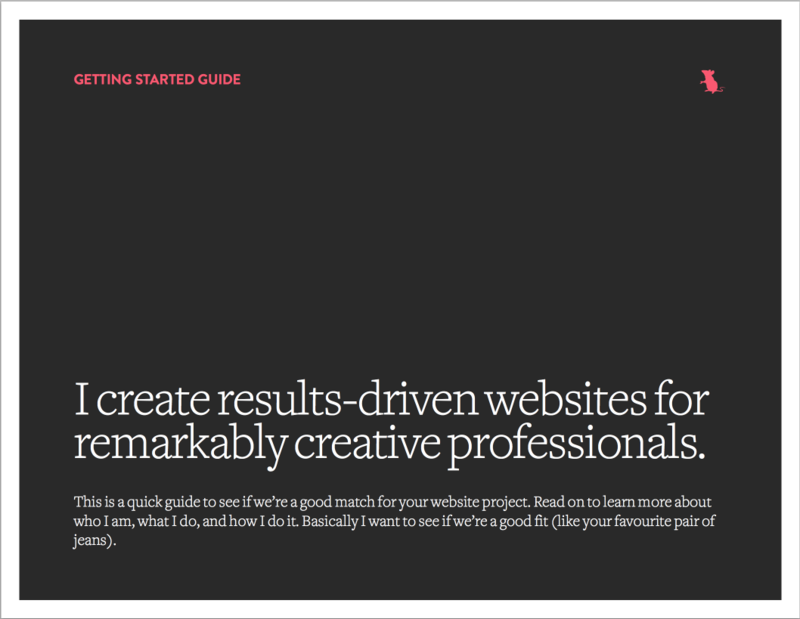 There might be a few goodies in there that you can paste on your homepage. Set a Google Alert for your name or freelance business. This way you’ll be notified instantly when someone says something good (or bad) about you and your service offerings. Yes, I typed it – Facebook. Create a Facebook page for yourself. 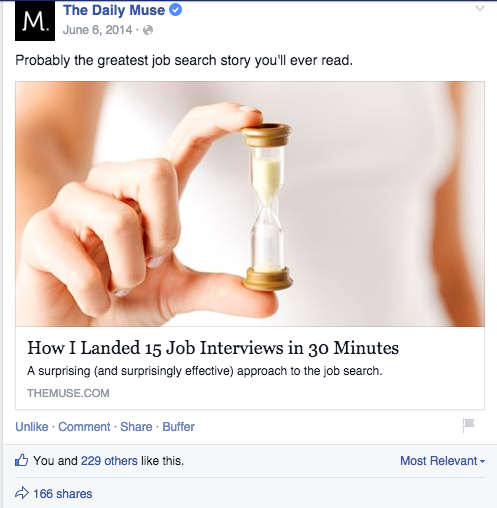 That way you can collect reviews right where your users spend the majority of their time – in their Newsfeed. 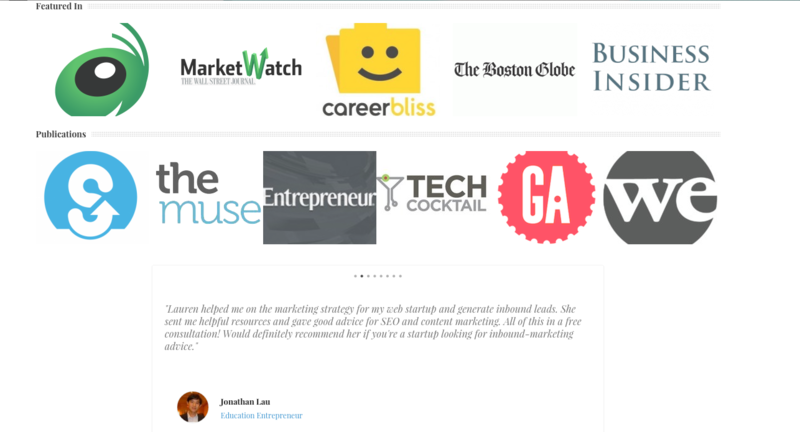 Gather your testimonials from every medium you can think of. The eight places I listed above are always good to check periodically for new reviews and when you’re just beginning collecting testimonials for your website. But it is surely not the most effective and efficient way to actually get killer testimonials from your clients. Conducting exit interviews are. Tell me about the business problem that you were trying to solve or the business need you were trying to address before you hired me. How did you decide on me? Briefly describe me and my services. Tell me how I helped solve your problem and address your needs. What benefits have you derived from my services? What has been the measurable impact of deploying insert my strategy, recommendations, etc (incremental revenues, savings, productivity gains, ROI)? Please summarize your overall experience working with me. What advice would you offer an organization which may be considering my services? Did my work meet or exceed your expectations? Did the proposal accurately reflect what I provided for you? Why or why not? What did you learn from working with me that you didn’t know before this project? What was your least favorite part of the project? Would you hire me again in the future? Would you be willing to provide a testimonial that speaks to the work I provided? If so, can you write out the quantifiable value or results of my services? Do you know anyone else who might be interested in hiring or working with me? There’s a few different ways you could go about sending these questions. Here they are. I really appreciate you utilizing my services, and I hope you loved my work. If you wouldn’t mind, it would be more than amazing if I could steal 10-15 minutes of your time for a short exit interview. I’m asking because knowing what made you happy is really helpful for me in making sure I’m delivering on what my clients really want. How could you say no to that email?! If they do say no then ask if they have time for a quick email interview or a short feedback survey instead. If you’re going to create a survey then I recommend using Google Forms or Typeform, which provides an absolute beautiful user-experience. Here’s an example of a survey you can create to collect feedback using Typeform. Unsure of how to make an effective questionnaire? HelpScout has a fantastic blog post on the topic and so does Client Heartbeat. If your client agrees to a phone interview then I highly suggest recording the call (and letting them know you are doing so of course). You can do this even on phone interviews by using Google Voice. If you don’t have an account already, create one by following the instructions in this article. Once you have a Google Voice number, read these instructions on how to record a call using the service. You’re going to want one central place to store all of your client testimonials. I prefer to use Google Drive for this; more specifically, Google Spreadsheets, which is just like Excel but stored in the cloud. Trello, Google Docs or Evernote are also good alternative solutions. Ask. Provide options. And you shall get testimonials. 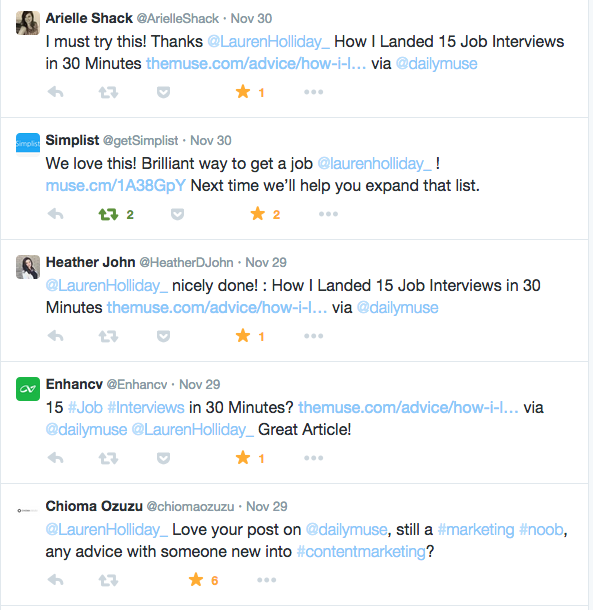 Where Do I Flaunt My Shiny New Testimonials? I agree with Freelancers Union. There is no one right answer so basically, put them where clients will see them. Here are a few places to scatter those amazing nuggets of praise. I personally like to link to my testimonials on my homepage because it’s the page I know clients are guaranteed to see. See how I first catch their eyes with the popular logos then precede with the text testimonials? Do you have an onboarding packet you send to clients to help facilitate sales? I’m guessing you don’t, but you should, as Paul Jarvis recommends. Here’s an the first two slides of his onboarding PDF. 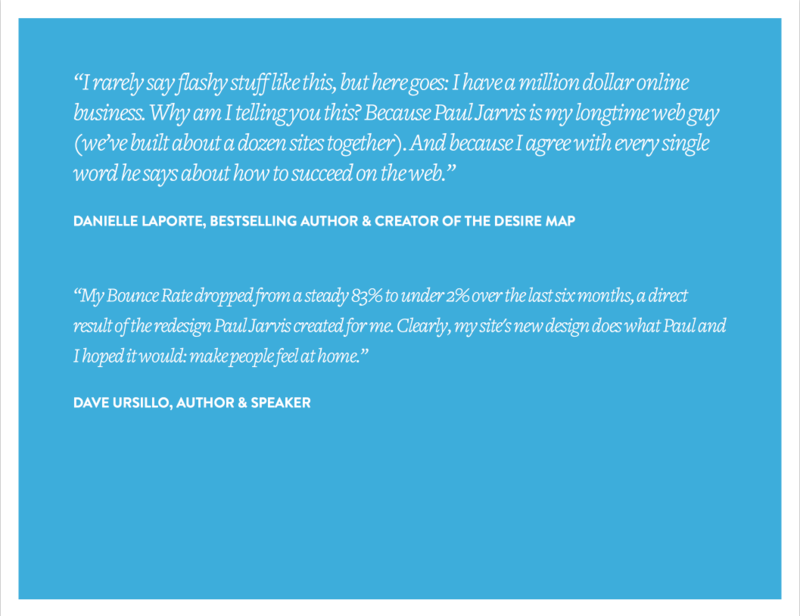 Anyway, you should have your client testimonials on page two of your onboarding PDF… once you create it. I like what Freelancer’s Union has to say about utilizing more than one of your website’s pages to showcase testimonials. Many freelancers think that it’s enough just to post the content of their portfolio — the photo album or logo or writing sample. Increase the effectiveness of your portfolio by also including a brief explanation of how and why you made certain decisions, and then back it up with a quote from the client for that project. The truth is that many clients aren’t quite sure what they’re looking for, and you want to demonstrate that you think deeply about what you create — that you’re not just slapping your style across their project. A testimonial supports that claim. Testimonials should be showcased where your clients will see them. 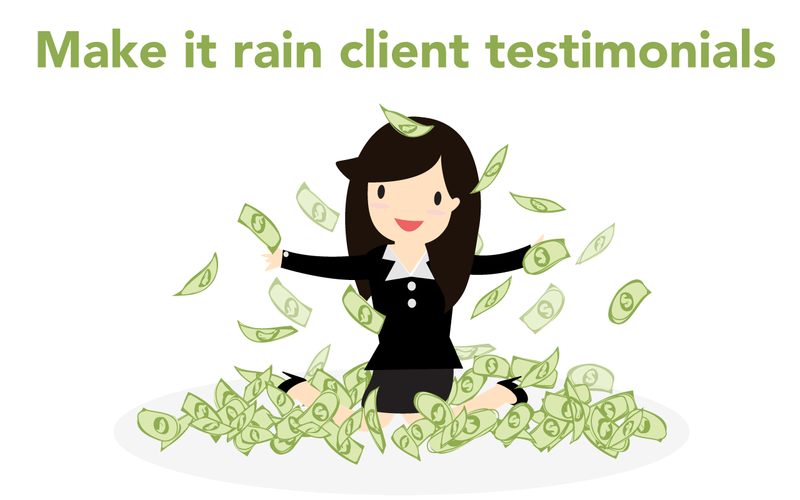 How do you make it rain client testimonials?! Tell me in the comments below.